LASLO ROOFING SPECIALIZES IN HAIL AND STORM DAMAGE! WE OFFER SNOW PLOWING DURING THE WINTER SEASON! 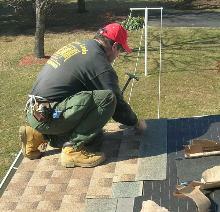 Laslo Roofing is family owned and operated since 1981. Julius Laslo is both Owner, and on site foreman. Laslo Roofing guarantees properly trained and experienced customer service and complete satisfaction, beginning with fair pricing, unlimited choices of roofing products, styles and colors . . . continuing through the final cleanup and your approval. Laslo Roofing and Siding has been family owned over 35 years where the owner wears an apron . . . . . . Not a tie!